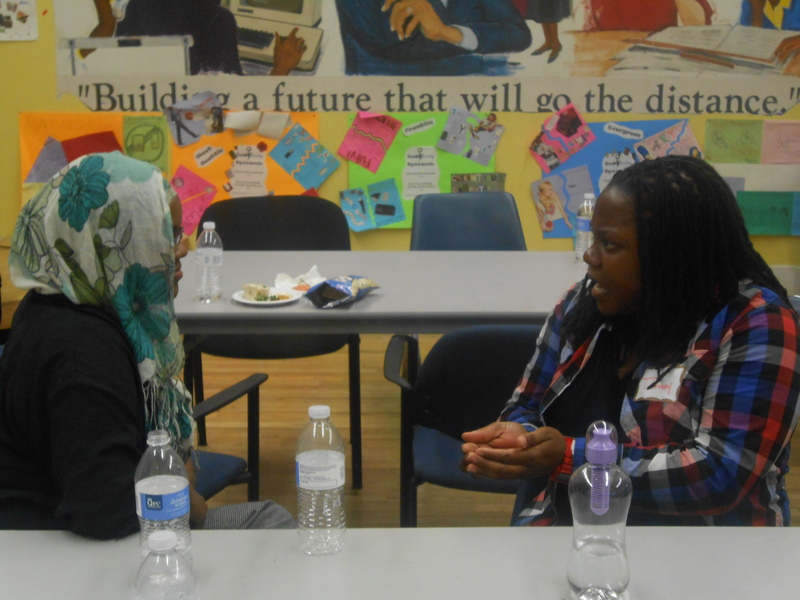 Last month, the young women enrolled in YWCA GirlsFirst started off the school year by meeting their mentors, a group of inspirational and successful women from a variety of professional fields and backgrounds. Their mission: to help guide these girls on the path to high school graduation and college enrollment. Too often, girls of color have few people in their lives who expect them to graduate high school and continue on to college. The GirlsFirst program challenges these external and internalized standards by providing a supportive system for these girls to learn, grow and achieve their full potential. The relationships they build with their mentors are an important part of this process. 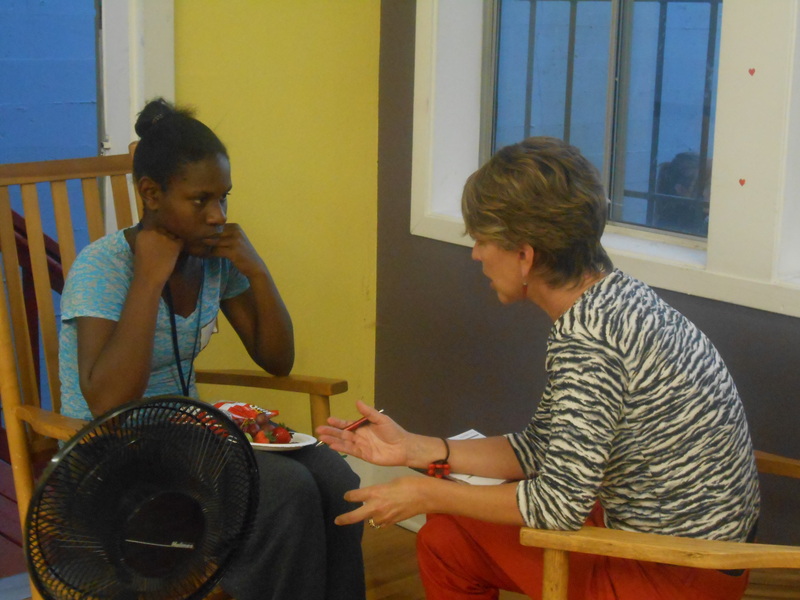 The mentors and mentees gathered together at the Alvirita Little Center on September 17. After introductions, there was a friendly competition between the groups to match up famous couples. To the mentees dismay, the mentors won – with an obvious generation gap revealed. Who would have known that Mark Antony wasn’t with J. Lo, but actually Cleopatra? 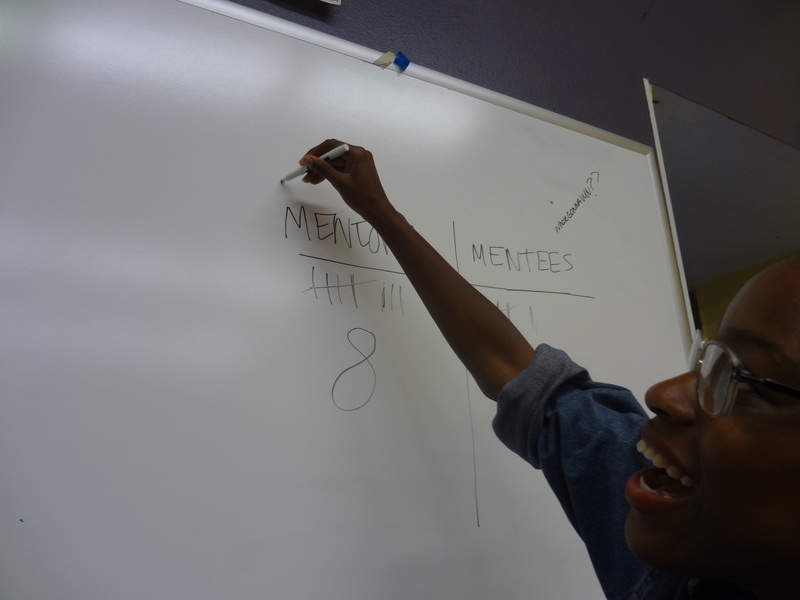 The night ended with the announcement of mentor/mentee matches and their first one-on-one meetings. As the room filled with excited chatter and laughter, the pairs exchanged information, planned further meet-ups, and built the foundation for positive, life-changing relationships. Would you like to help change the life of a young woman? Many volunteer opportunities exist, including mentoring and tutoring. There are also short-term volunteer opportunities, like mock interviews and monthly Leadership in Action Days. For more information, visit our website. Click below to follow Community Engagement's blog via email!